What is this flurry of data and figures and smiling faces? 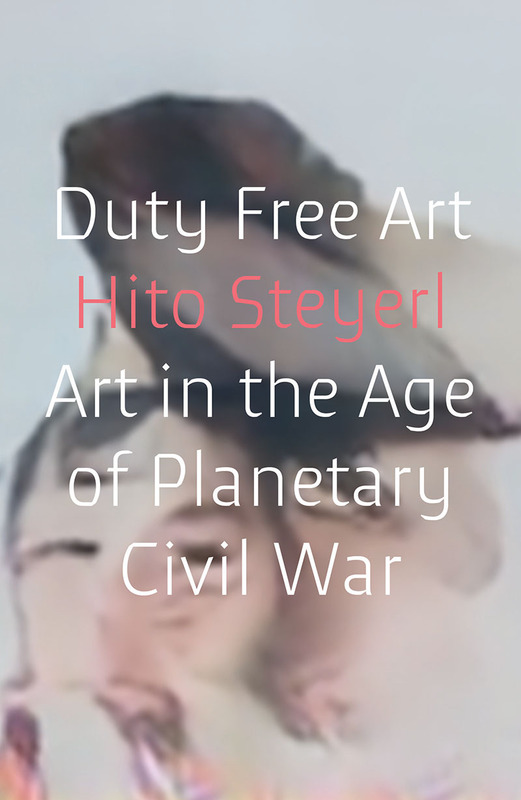 The interminable, irrepressible expansion of chaos: this is the subject of Hito Steyerl’s book, Duty Free Art. The book can be read as a cartography of the looming darkness, the outcome of the boundless intensification of light, and of the unchained proliferation of visual-nervous stimulus. The old age of Darkness, referred to as the ‘Middle Ages’ by Europeans, was connection and interaction-poor. 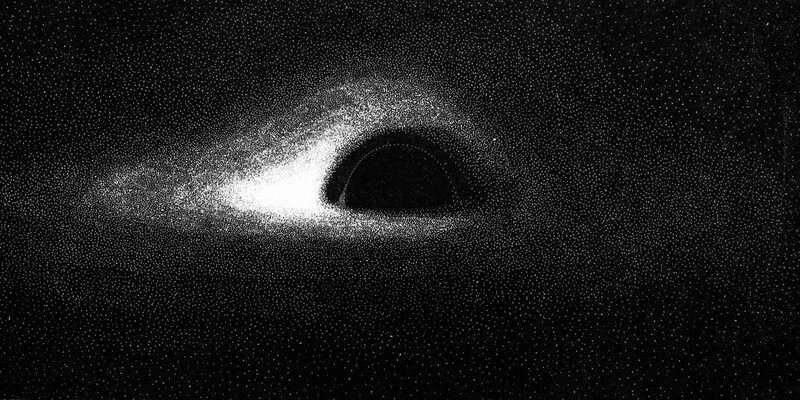 Contemporary darkness, on the contrary, is hyper-connected and highly inter-dependent. Despite this darkness, the global machine only becomes faster. How is this possible? How can we go on running on empty? The utopian thinking of functionality keeps the wheels turning, but human life does not conform to perfection. Nevertheless, perfection has taken the upper hand in the business of everyday life, and it is enforcing human bodies in a logico-mathematical confine that we are unable to escape. The convergence of Massive Data Extraction and devices of Artificial Intelligence is the all-encompassing trend of the present phase of Evolution: it is the ultimate case of the logico-mathematical trap. This convergence paves the way to the creation of the cognitive automaton, based on the inscription of the future in the computational present. The problem is that the cognitive automaton has to confront itself with the force of chaos. The Automaton is the final avatar of Modern rationality, but it is emerging in the middle of the chaotic sphere of mental maelstrom. Language is the dimension in which the future is shaped. The future is inscribed in the present as a possibility among many: language acts as a catalyst. There are many ways the future is implied through language: code, data, prescription, injunction, paradoxical injunction and prophecy are different modes through which this happens. The interplay between big data and Artificial Intelligence aims to place automatisms in the social language, so that an appalling (or reassuring?) perspective emerges: the future is no longer a range of possibilities, but a logically necessary sequence of the states of the world. I will outline how the cognitive automaton is constructed by reflecting on the prescriptive inscription that is implemented through the automatisms in action. I call automatism the penetration of a logical device in the flesh of a linguistic agent. The infiltration of automatisms in the field of social action (in the economy, in language, in affection) shapes the global cognitive automaton. In the (self)construction of the automaton, the prescriptive inscription replaces prophecy and replaces law. It absorbs code, nullifying the unpredictability of the future. In other words, it nullifies the (relative) autonomy of the future from the present. I want to look at this question from the point of view of prophecy. Prophecy is not, as we tend to think, a precognition of the future. Rather, it is a perception of the imminent, i.e. understanding what is written in the present. Not as a secret, but as an enigma. Imminent is the immanent tendency, inscribed in the present composition of matter: physical and psychological matter. Sensing the imminent, interpreting the immanence as tendency; this is the task of those people who once upon a time were called prophets. The science of politics is not useful in understanding the contemporary crisis and prefiguring the imminent evolution. Nothing is more empty, inconsistent and superficial than the pseudo-science called ‘politology’. What we need is an interpretation of our maladies as symptoms of this tendency. I would call psycho-manteia the interpreting of maladies. Duty Free Art, in my view, is a psychomantic book. Sadness, depression, panic, attention disorders, the dementia epidemic: these are the symptoms that we need to interpret in order to act prophetically, to interpret the enigma of ‘future’. We will not discover some secret, necessary truth, only the symptoms of possibility. The (infinite) activity of interpreting the enigma (of malady as enigma) is the action of generating future, of creating events that are never exhaustive, never true, never final, but always unstable as the interpretation of an enigma. This is why great politics is similar to poetry, the intuition of the possibile. The low politics we are witnessing today is limited to our management of the probable, the way we pit the probable against the possible (Statistikon is the name Warren Neidich gives to this reduction of the possible to the probable, which is is turned into necessity by the prescriptive machine). The harbingers of cynicism that prevail in the contemporary cultural environment bend their head in front of the inevitable, while forgetting that in human history the inevitable never succeeds. What always succeeds is the unpredictable. But a question breaks out: do we still dwell in the sphere of human history? Or, on the contrary, have we transitioned into the sphere of the cognitive automaton, where history does not exist, where unpredictability is erased, and the infinite complexity of reality has been reduced to the combination of computable units, thanks to the connection of machines for data extraction (probability) and by devices endowed with artificial intelligence? This is why I wonder if the unpredictable still exists, and if great politics are still thinkable. Obviously, I do not have an answer. I don’t know, I cannot know, as my meditation is about unpredictability, and I cannot know if the unpredictable will emerge from the ripetitive series of probability that the intelligent machine aims to turn into necessity. While the construction of the cognitive automaton is proceeding full steam, are we still able to distinguish the possible from the probable? Are we still capable of free action, or is the only effective action the one that follows the rules shaped by the dates extracted from social existence, and interfaced with intelligent machines? The Neidich’s Statistikon is the extraction of data linked with the insertion of prescriptive devices. The Automaton emerges from the concatenation of data extraction and artificial intelligence. Computational prophecy. 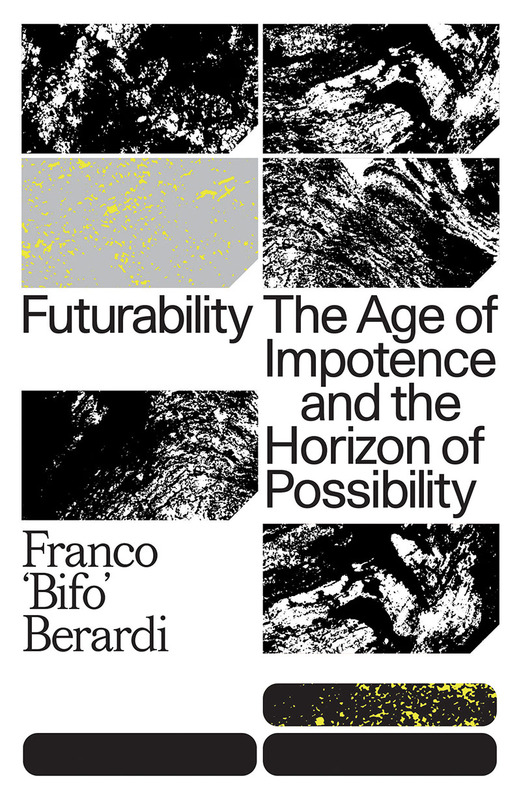 As I said before, there are many semiotic techniques for inscribing the future in the present: code, injunction, paradoxical injunction and prophecy. Nevertheless, the cognitive automaton is based on a new mode, which I call automatic prescription. Let me explain. When the Government emits a law that imposes or forbids, it is inscribing the future in the present act of language. But citizens can violate that law, sometimes at their own risk. Code is different. Code is a linguistic tool that generates real objects according to a homogenous format. Code generates enunciations and events that can only be deployed if they follow the format and the logical implication of the code itself. Prophecy concerns the relation between an act of language and an event that will or will not actualise the content of the prophetic enunciation. A particular kind is the so called self-fulfilling prophecy: an act of language that creates pragmatic conditions in which the content of the prophecy is established as truth. If one enters a crowded space shouting that a catastrophe is going to happen, it’s quite likely that the prophecy will be fulfilled. If a well known rating agency predicts that the financial value of a company will dramatically collapse tomorrow, the collapse will probably happen. The interfacing of data with logical devices finalised and self-evolving turns social language in automated self-fulfilling prophecy. Prescription is the insertion of automatic semiotic codes into the social organism. In the last decades, political action has repeatedly shown to be impotent in the face of financial rule. The financial rule is the generative code that pre-scribes social language: the machine that turns prophecy into prescription. Is the impotence of politics to be seen as a temporary inability? Or, on the contrary, have we entered a sphere that is impervious to political action, impervious to freedom, as the data extracted from the present are linked automatically with intelligent semiotic machines? The political art of the future (that I call psychomanteia) is based on the same principle: we must interpret the noise that comes from the chaos of the social brain as a meaningful cartography: mapping darkness indeed. What I have outlined is a hypothetical scenario, drawn from the pages of Steyerl’s book. Can we really believe that the cognitive automaton will prevail upon chaos? Will the human mind shift into connective-computational mode, or will the brutality of the insertion provoke a demential reaction of the collective brain? The answer may be found in the dimension of psycho-manteia.